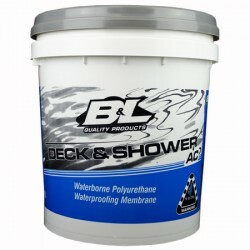 B&L Deck & Shower AC is an elastomeric, one part, fibre reinforced, water based polyurethane membrane used for waterproofing shower recesses, bathrooms, laundries, decks, balconies and rooftops. 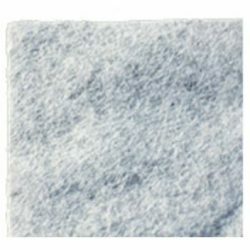 Non-woven polyester fabric, thermally welded on one side. Acryroof is a synthetic based coloured waterproof liquid membrane with internal plasticisation. Thanks to the composition of the resins used, this product is highly elastic and adapts to movements of the deck caused by settlement or thermal stress. Acryroof may be used to waterproof decks not subject to pooling such as tiled roofs, brick, face brick and pitched decks in general. The type of synthetic resins and additives used make this product practically unresponsive to ultraviolet radiation with excellent resistance to ageing. Acryroof Plus is a one-component liquid membrane in water emulsion. The special formulation of Acryroof Plus makes the product resistant to pooling; the product may, therefore, be used for waterproofing flat roofs, terraces, balconies and to resurface old bitumen membranes (after applying Acrybase S primer). Acryroof Plus Fibro is a one-component fibre-reinforced liquid membrane in water emulsion that may be used without reinforcement. 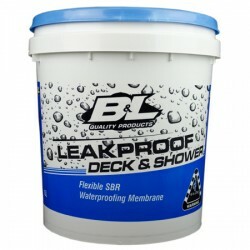 Its special formulation makes it resistant to pooling making it the perfect choice for waterproofing showers, bathrooms and humid areas of the home in general. Acrytop is a coloured synthetic resin based coating with quartz sand filler in water solution and internal plasticisation, that is resistant to pooling and has excellent anti-abrasion and non-slip properties. Acrytop is used to make decks waterproof as a complete system with cement and acrylic products such as, Dermacem and Acryroof Plus. 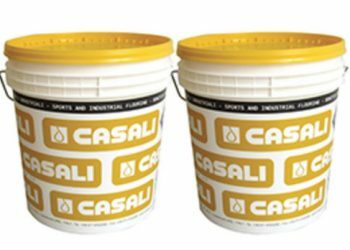 The product may also be used to lay pedestrian lanes on polymer bitumen waterproofing membranes or simply to paint asphalt decks. 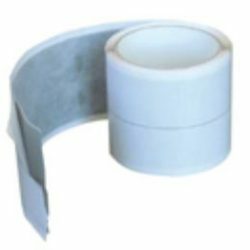 Casaband SA is a self-adhesive butyl tape for perimeter and expansion joints. Dermacem is a synthetic polymer and cement based two-component liquid membrane in water dispersion, used for waterproofing concrete surfaces such as flat roofs, balconies, terraces and bathrooms. 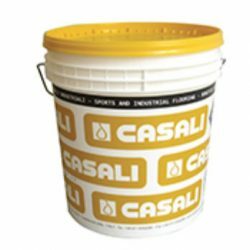 It is ideal for irregular structured decks and for waterproofing water containing basins such as tanks, cisterns, pools and fountains. Dermacem Fibro is a fibre-reinforced synthetic polymer and cement based two-component liquid membrane in water dispersion, used for waterproofing concrete surfaces such as flat roofs, balconies, terraces and bathrooms. 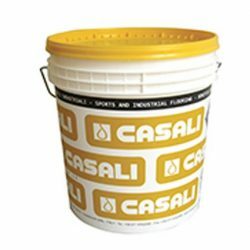 It is ideal for irregular structured decks and for waterproofing water containing basins such as tanks, cisterns, pools and fountains. Dermacolor Cool Roof is a high-reflectance synthetic-based white paint in water emulsion whose special formulation with glass micro-spheres makes it the ideal solution for protecting bituminous polymer waterproofing membranes against UV radiation, significantly lowering the surface temperature (up to 40°C with respect to a black membrane). Elasto-bituminous liquid waterproofing in water emulsion Dermarubber, is a liquid membrane consisting of a bitumen emulsion elastomerised with special macro-molecules, that makes the cured product waterproof and highly elastic. Primer formulated for plaster, mortar, smoothing coats, finishes resins and liquid waterproofing.